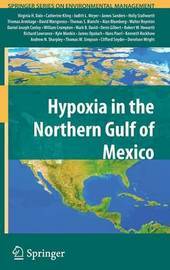 Since 1985, scientists have been documenting a hypoxic zone in the Gulf of Mexico each year. The hypoxic zone, an area of low dissolved oxygen that cannot s- port marine life, generally manifests itself in the spring. 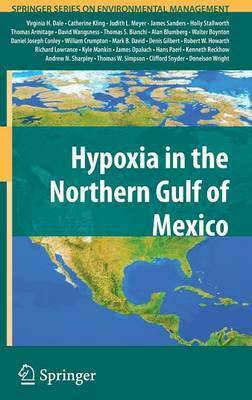 Since marine species either die or ee the hypoxic zone, the spread of hypoxia reduces the available habitat for marine species, which are important for the ecosystem as well as commercial and recreational shing in the Gulf. Since 2001, the hypoxic zone has averaged 2 1 16,500 km during its peak summer months , an area slightly larger than the state 2 2 of Connecticut, and ranged from a low of 8,500 km to a high of 22,000 km . To address the hypoxia problem, the Mississippi River/Gulf of Mexico Watershed Nutrient Task Force (or Task Force) was formed to bring together represen- tives from federal agencies, states, and tribes to consider options for responding to hypoxia. The Task Force asked the White House Of ce of Science and Technology Policy to conduct a scienti c assessment of the causes and consequences of Gulf hypoxia through its Committee on Environment and Natural Resources (CENR). 22 Tables, black and white; 27 Illustrations, color; 30 Illustrations, black and white; LII, 284 p. 57 illus., 27 illus. in color.